Many of our houses use the building form to enclose and define external space, making a clear sequence of entrance forecourt , living and service space. This commission was for a smaller house than Brandon. The site was also an awkward triangular shape. 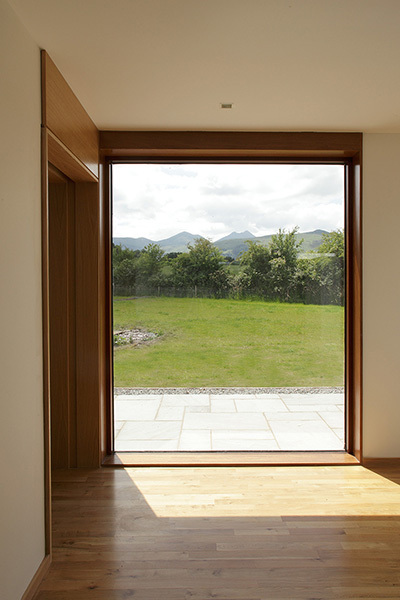 A requirement of the client was to maximise the south facing rear garden and that the house would avail of the southern and western views of the mountains. 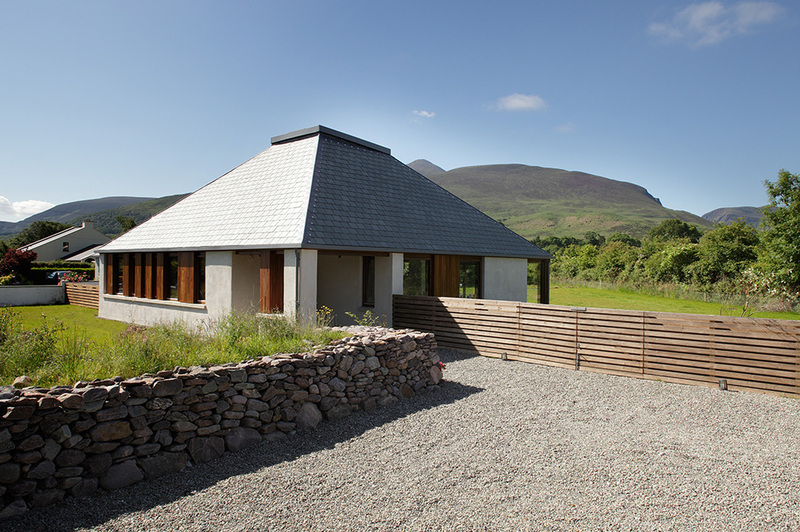 We chose to express the house as a simple elemental object, adapting a hipped roof to make a pyramid shape with tilted lid. 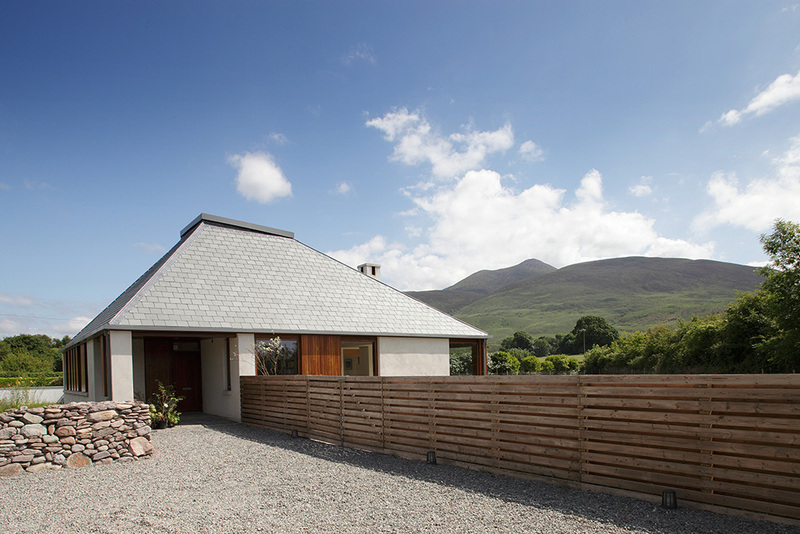 Walls are kept low; the clear and singular roof form relates and echoes the profile of the visible distant mountains. 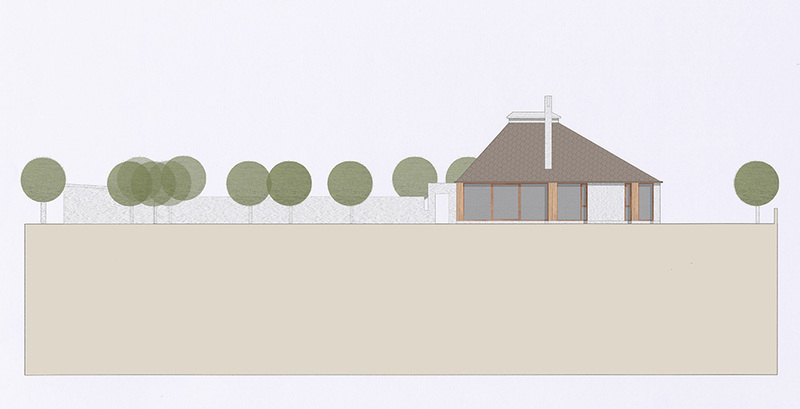 The entrance forecourt is defined by a timber screen and garage building. The house is anchored in its setting, but each façade has a clear relationship to the space outside. 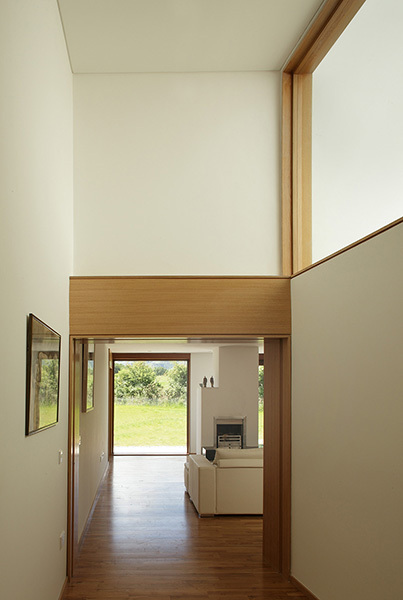 The footprint of the house is a square defined by the hipped roof above. Entering in the corner, one moves in a spiral around the kitchen in the centre. This lofty rooflit space is the heart of the house. The living/dining space is free and open with large sliding doors opening on to a deck. An intimate and booklined study is placed at the end of the spiral route. The bedrooms are placed around two sides of the perimeter. These have more controlled views for privacy. Materials are simple-off white colours and oak or iroko. 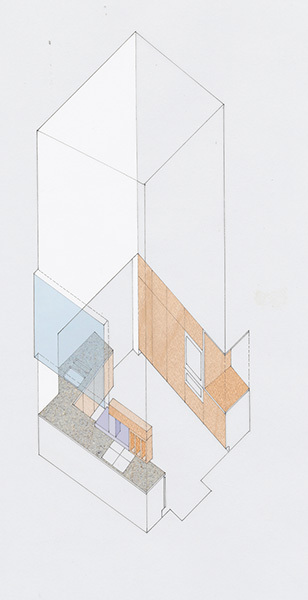 The strategy is too keep a low key profile,the rich spatial arrangement gradually revealed as one enters the house.